News: Cairns children stabbings. More details emerge. A fund has been set up to help with funeral costs. Details are emerging on the mother charged with murdering eight children in Cairns – seven of whom were her own. Mersane Warria, 37 whose full legal name is Raina Mersane Ina Thaiday was charged yesterday at a bedside hearing in hospital. She is accused of killing seven of her nine children, either on Thursday night or Friday morning, along with her niece. She is not expected to appear in Cairns Magistrates Court this morning when the matter is heard. News Limited reports that her neighbours have said she had displayed bizarre behaviour recently giving fiery sermons on the street and saying that mobile phones were the “work of the devil”. It is reported that she had cut off all technology from her family home and even threw out the television. Preliminary autopsy reports have shown the horrific nature of the injuries to the children. Police will allege some of the eight suffered multiple stab wounds. It is alleged one child sustained at least 12 knife wounds to the front and 10 more on the back. News Limited reports that police yesterday declined to comment on whether the drug ice had played a role in what could have been a possible psychotic episode. A fund is being set up to assist with funeral costs for the children. Anyone wishing to help can call 1800 54 33 54. If you need help please phone Lifeline on 13 13 14. President Barack Obama has condemned the killing of two New York City police officers yesterday. Rafael Ramos and Wenjian Liu shot dead while in their patrol car. 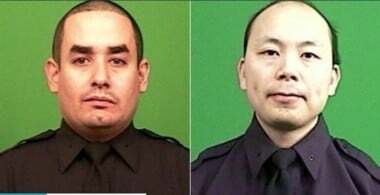 Rafael Ramos and Wenjian Liu were shot dead while on patrol by 28-year-old Ismaaiyl Brinsley who then killed himself. The head of the New York police said the men had been “targeted for their uniform”. NBC News reports that the attacker, identified as Ismaaiyl Brinsley, 28, shot and injured his ex-girlfriend before the killings and had posted anti-police messages on social media. The tragic shootings come weeks after a grand jury decided not to indict any New York police department officer in the chokehold death of Eric Garner, a black man who died when white police officers tried to arrest him for selling cigarettes. The decision sparked protests in New York and other cities across the US. NBC News reports that the gunman boasted on social media “I’m putting wings on pigs today” before the killings. On his Instagram post he also referenced Michael Brown (who was also unarmed when he died in a police incident earlier this year in Ferguson) and Eric Garner. As reported yesterday by Mamamia the Prime Minister, Tony Abbott has made a major reshuffle of his frontbench as he moves to “reset and refocus” his Government for next year. Scott Morrison has been appointed the Minister for Social Services and put in charge of the welfare system. David Johnston has been dumped as Defence Minister and replaced by Kevin Andrews. And he has doubled the number of women in Cabinet – to two, with Sussan Ley promoted to Minister for Health and Sport. The new cabinet will be sworn in tomorrow. 4. Sydney siege gunman’s partner to appear in court today. 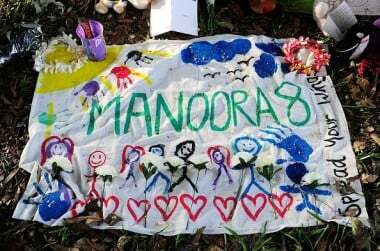 Exactly a week after Man Haron Monis began his 17-hour siege, his partner Amirah Droudis, 35, will appear in Sydney’s Downing Street local court. The Australian reports that the NSW DPP will try and put her behind bars with a “bail review” process this morning beginning at 9am. She is charged with the alleged murder of Monis’s ex-wife last year. Last week the NSW’s Attorney-General, Brad Hazzard, asked the DPP to review her bail, expressing “concern” she had been released. Amirah Droudis calls herself a spokeswoman for Man Haron Monis’s extremist Islamist website according to The Australian and declaring she was a “terrorist”. The accused kidnapper of a teenage girl who was allegedly held captive for 9 months has been handed 205 indictments in two counties in the US. Shocking details have emerged from prosecutors with charges alleging the suspected kidnapper repeatedly raped the girl, forced her to wear a shock collar, controlled her with a stun gun, and left her bound and gagged. An 18-year-old man has had both his legs severed after being hit by a train on the New South Wales mid-north coast. The incident occurred at a railway crossing in Taree about 4:30am on Sunday. Police said initial inquiries suggested the man was celebrating his birthday at a home near the railway line before he was hit by the train. The train driver managed to stop the train soon after the accident and was taken to hospital for mandatory blood and urine testing. 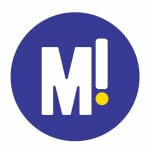 Police are also investigating the actions of a group of people who threw rocks at police officers and the train driver, forcing them to take refuge in the train driver’s cabin. Paramedics were also blocked, pushed and verbally abused by the group as they tried to treat the man. 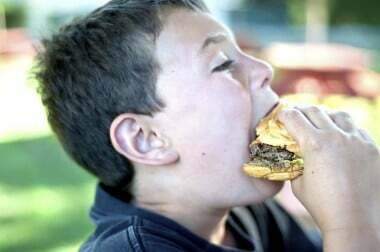 Fast food slows the brain of your child. A study has shown that fast food can cause more than just obesity in children but can slow their brain. The study by Ohio State University found that children who ate fast food had poorer test score results in maths, science and reading. Researchers said that a lack of iron – which is associated with fast food – leads to a slowing in development of certain processes in the brain reports The Daily Mail. 8. Obama says north Korea Sony hack not an act of war. North Korea’s hack of Sony Pictures was “cyber vandalism” and not an act of war, United States president Barack Obama says. Washington has blamed North Korea for a cyber security breach at Sony that led to the release of embarrassing emails and caused executives to halt the release of the madcap action film The Interview. The film, about a fictional CIA plot to kill North Korea’s leader, has infuriated the country. “No, I don’t think it was an act of war. I think it was an act of cyber vandalism that was very costly, very expensive. We take it very seriously,” Mr Obama said in an interview with CNN. Mr Obama also said his government was considering putting North Korea back on a US list of countries that sponsor terrorism. It was removed from the list six years ago. The delay of the film’s release sparked political uproar in the US with some politicians claiming North Korea carried out a highly aggressive act. But Mr Obama, who criticised the film’s cancellation, stopped well short of calling the cyber attack an act of war. In the CNN interview, Mr Obama said he was sympathetic to Sony’s business considerations but stuck to his argument that the entertainment company had made a mistake. “Had they talked to me directly about this decision, I might have called the movie theatre chains and distributors and asked them what that story was,” he said. The president warned that such digital attacks were something the country would have to adapt to. “We’re going to be in an environment in this new world where so much is digitalised that both state and non-state actors are going to have the capacity to disrupt our lives in all sorts of ways,” Mr Obama said. 9. We know where Rudolph is but where are the rest of the reindeers? Rudolph is coming but where are his relatives? Research has shown that reindeer populations are in decline around the world largely because of inbreeding. Reindeer populations currently live in Finland, Sweden, Norway, Canada, Alaska, Russia, Mongolia and China, and populations across the board are declining. 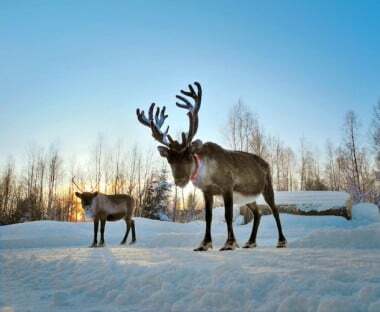 In the study, researchers from Renmin University in Beijing focused on the reindeer population in China, which has declined about 28 percent since the 1970s. The Journal for Nature Conservation reports that there are several reasons reindeer populations are decreasing, but the number one cause they found was inbreeding. Reindeer are split up into small, shrinking groups and have very few mating options. Without more genetic variation, the populations will eventually collapse, the researchers said. Poaching is also a problem. 10. Tony Abbott says repealing the carbon tax was his top achievement as Minister for Women. Prime Minister Tony Abbott has claimed the repeal of the carbon tax as his biggest contribution for women this year. Speaking on the Today show this morning, Mr Abbott was asked by host Lisa Wilkinson to nominate his top achievement in 2014 as Minister for Women. “Well, you know, it is very important to do the right thing by families and households,” Mr Abbott said in response.